Stunning Miss Annabel floored 12 other contestants to win the keenly contested crown at the beauty contest, which took place at Vanapo Holiday Resort, Otukpo, Benue State last night. The Otukpo-born damsel smile home with a fully-loaded tear leather Geely car. 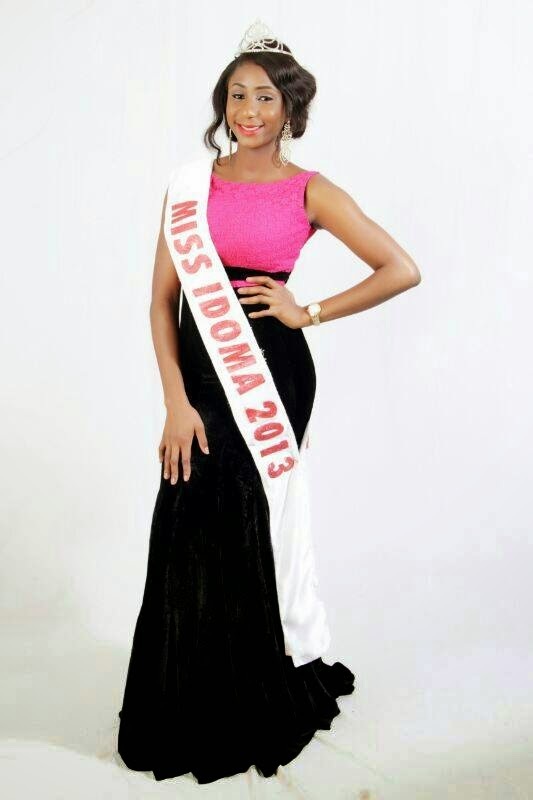 In a brief chat with Idoma Voice, the newly crowned queen described her emergence as 'a dream come true'. The dazzling angel also promised to make the Idoma community proud in the next 365 days. Also speaking at the event, the immediate past Miss Idoma, Miss Ehi Adokwu thanked the organisers for giving her the platform and the privilege to fly the red and black flag in the past 52 weeks, she pledged to continue to support the Jane Odoh's led Free Image Entertainment, organisers of the annual contest. The ex queen also presented a fully loaded Sienna bus to the organisers of the contest.